Our newest inspirational piece comes from Johannesburg-based MNM MULTI PROJECTS, a growing firm consisting of architects, consulting engineers and project managers. Possessing all necessary resources and required expertise, MNM MULTI PROJECTS is fully committed to producing work that not only meets their clients’ needs and desires, but is also regarded as effective and competitive by top-notch standards. Today’s homify 360° discovery is labelled ‘Country View Estate Centurion’ – modern house designs with four bedrooms, an open-plan kitchen and living area, plus a spacious backyard. The experts in charge also provided the full architectural plans plus submission to the council to get this project off the ground. The total dimension of this design? A not-too-shabby 450 m² area layout. 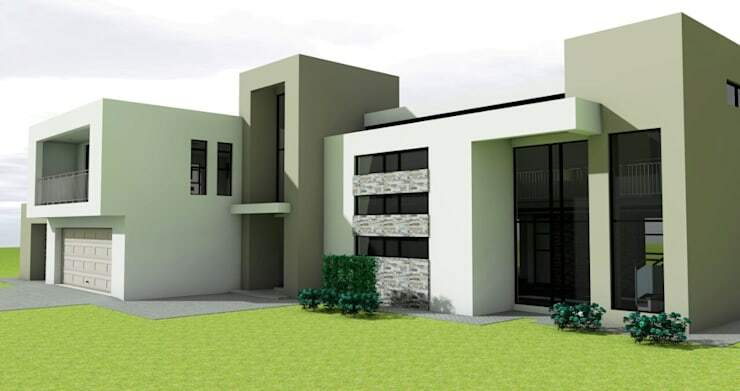 Looking at the 3D renderings of the house’s front façade, all the required touches of the modern style come into full view: linear designs, neutral colour palettes, a delicate dose of patterns and textures to ensure character, plus a spacious and welcoming ambience. 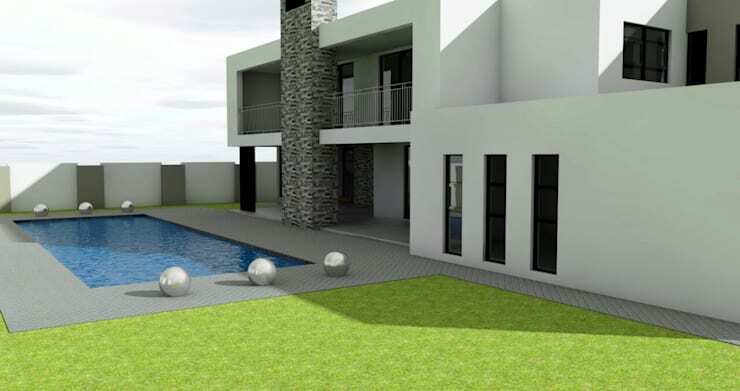 The same modern design that we love at the front of the house gets repeated perfectly at the rear, albeit with a much more open style – it is the backyard, after all, where these very fortunate homeowners will get to relax and socialise in privacy to their hearts’ content! Our favourite piece here? Undoubtedly that gorgeous swimming pool, which requires (in our opinions) just a couple of sun loungers and drinks tray to make it perfect for this summer’s hottest pool party! Located in the same estate is this stunner – also of the modern style, but definitely a whole other design compared to the first home. Notice how this design flaunts a much more linear look than the first house, especially when it comes to the top-floor balcony. 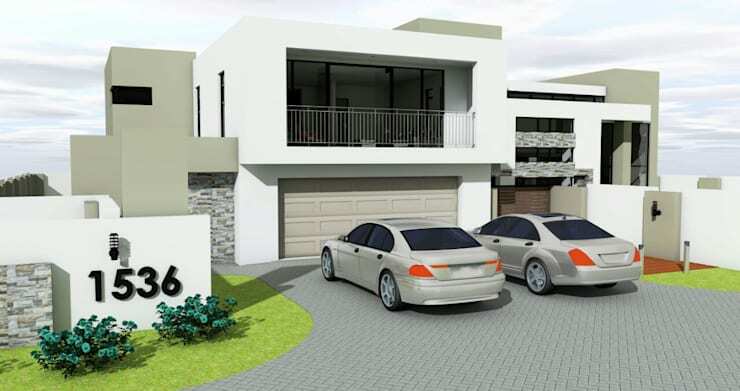 Let’s take a look at some more images that speak of both homes’ designs, courtesy of the professionals at MNM MULTI PROJECTS. From one gorgeous project to another, let’s enjoy An interior design gem in Johannesburg. Which of these modern homes would you prefer?